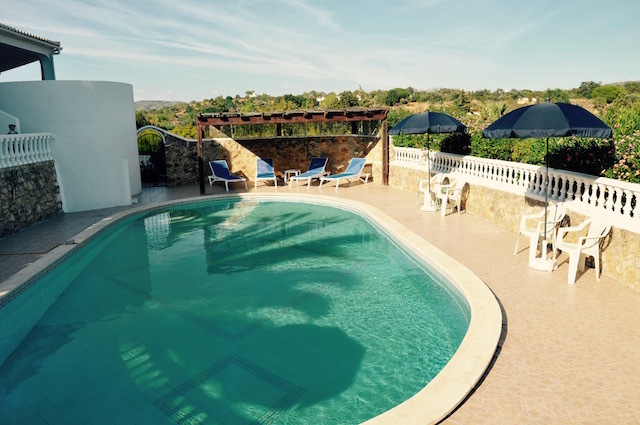 The White House is a cosy B&B in the heart of the Algarve. We are only 15 minutes from Faro airport. The White House B&B has five spacious rooms, each with private bath/shower and WC. There is a relaxed atmosphere and both the house and the spacious gardens have many places to read a book or just to relax and do nothing. Of course you can enjoy the large swimming pool with sun terrace. Obviously a full breakfast is included in the price. A welcoming B&B with 5 specious rooms, a large house with library, garden, pool and sun terraces. All rooms have en suite bathrooms, a desk and a brand new, comfy bed. Check In/Check Out : check in after 2 pm please. Check out before noon. Cancellation : Cancel within 48 hours and pay 50% of the room rate. What to see & do : The Algarve attracts tourists all year round. The wonderful climate certainly helps. But there is so much more to do. Many people who are here for the first time are surprised at the many possibilities and dozens of activities available. There’s something to do for everyone. And while young people go kayaking in Lagos or diving in Albufeira, others might enjoy a day in historic Silves or a visit to one of the vineyards. The White House is only a 15-minute drive from the airport. Many of our guests rent a car and drive themselves to us. It’s really easy to find. Leaving the airport, you are directly on the road towards Olhão. When the bypass around Faro ends, you pass the first exit to Pechão at the roundabout, continue the road and take the second exit to Pechão. After the Galp petrol station and another roundabout, you turn right to cross the road. Follow the signs and drive about 3 km until you turn left to Pechão. You drive through the village of Montarroio and pass restaurant O Lagar. You continue through Pechão and cross the bridge out of Pechão. The road to our house is after 300 meters on your left hand side (just after the bend and the white/blue house, directly after the garbage bins).